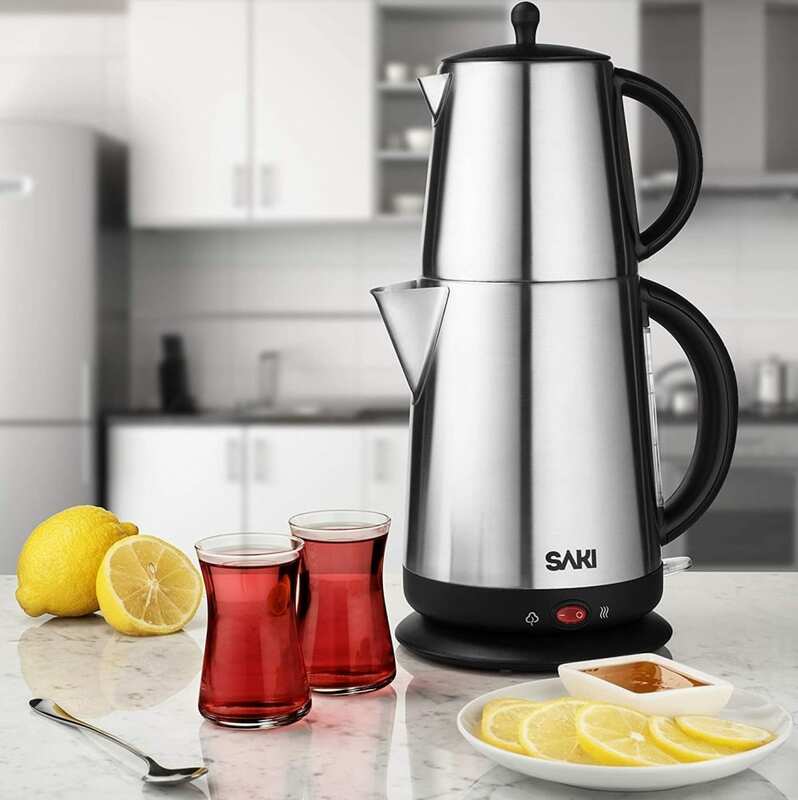 2 IN 1 ELECTRIC TEA KETTLE WITH TEAPOT INFUSER – The Saki Tea maker machine was designed to keep your tea and your love for tea piping hot. Brew the fruitiest, most exotic, delicious, herbal-icious infusions by just touching the ON/OFF button.PRECISE THERMAL CONTROL FOR SUPERB CONVENIENCE – Too hot? Too cold? Never again. Enjoy your favorite tea at its finest temperature with Saki Tea Maker kit – just right to make your taste buds happy with every sip. Mmm, rich-flavored infiniTEA!PREMIUM STAINLESS STEEL BODY FOR DIVINE COOL TOUCH – We used the finest stainless steel and comfortable easy-grip handles to protect your delicate fingers from heat. Food-grade safe materials crafted under very-easy-to-use modern design rules.